New research reveals that Mycoplasma pathogens make DNA in a unique way that may protect them from our immune response. The result could provide new avenues to combat the pathogens that utilize this strategy. The study is published today in the scientific journal Nature. Each time they divide, bacteria need to copy their entire DNA, the blueprint of the cell. Large amounts of the four DNA building blocks have to be produced. The enzyme that makes the building blocks is called RNR (ribonucleotide reductase). Because of its essential role, RNR has been intensely studied for over 50 years. During this time, it has been observed that in all organisms, from humans to bacteria, RNR requires metal ions to function. One general strategy that our immune system uses to fight invading bacteria is to starve them of metals. "We discovered a family of RNR proteins in Mycoplasma that does not need metals," says Vivek Srinivas, graduate student at the Department of Biochemistry and Biophysics, Stockholm University and one of the authors of the study. 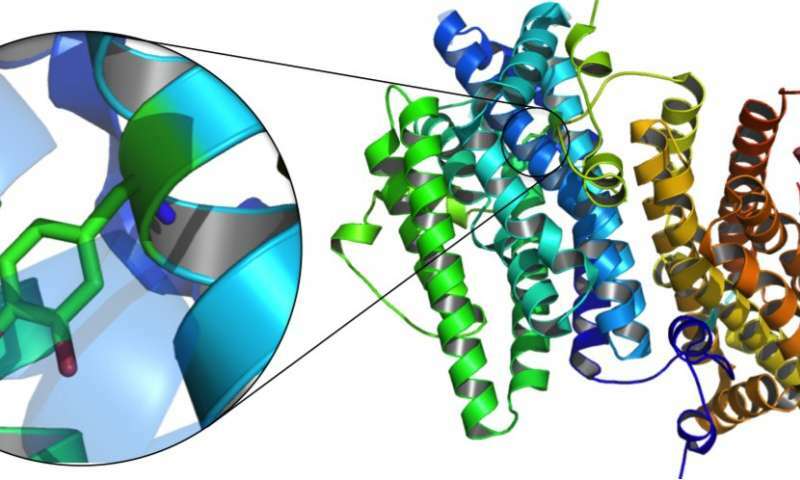 In the study, titled "Metal-free ribonucleotide reduction powered by a DOPA radical in Mycoplasma pathogens," the researchers show that instead of using metals, this type of RNR uses a modified amino acid radical to initiate the chemical reaction. Radicals are molecules with an odd number of electrons, something that renders them very reactive. Many of the bacteria that utilize this new group of RNR are mycoplasma pathogens that invade mucosal surfaces in the respiratory and genital tracts. It is possible that this extraordinary way to make DNA building blocks evolved so that the bacteria could survive and multiply despite a lack of metals. "It is remarkable how evolution found an alternate chemical solution to this problem, something we didn't think was possible without metals. Of course, this also means that there may be new avenues to combat the pathogens that utilize this strategy," says Martin Högbom, professor at the Department of Biochemistry and Biophysics, Stockholm University, leader of the research project.